Vacation Rentals in Puerto Vallarta at Vallarta Shores. If you are searching for something that was here please fill out our contact form and let us know. Select from a different range and types of penthouse, condos, sky suites and other Vacation Rentals in Puerto Vallarta at VallartaShores the beautiful beachfront hotel. This will be a perfect Romantic Vacation Rentals Puerto Vallarta for you. Welcome to the Sky Suites at Vallarta Shores, featuring 3 bedrooms, private pool, private chef service (included in rate) and conveniently located right on the beach. Each Sky Suite boasts three spacious air-conditioned bedrooms (3 + studio in Sky Suite E) for absolute comfort while you rest. The Master Suites offer added luxury with a Jacuzzi tub; and all bedrooms are equipped with individual safes, A/C and offer the convenience of an en-suite bathroom. Book your sky suite Vacation Rentals in Puerto Vallarta with us. The Penthouse offers an unique opportunity to enjoy stunning panoramic views and glorious sunsets of charming Puerto Vallarta. Take the newly installed elevator to the top levels of the building, opening right into your unit and immerse yourself in the beauty of your surroundings! The expansive, open-air living and dining space of The Penthouse melds into the open air living area and allows for uninterrupted views from every angle of the property. 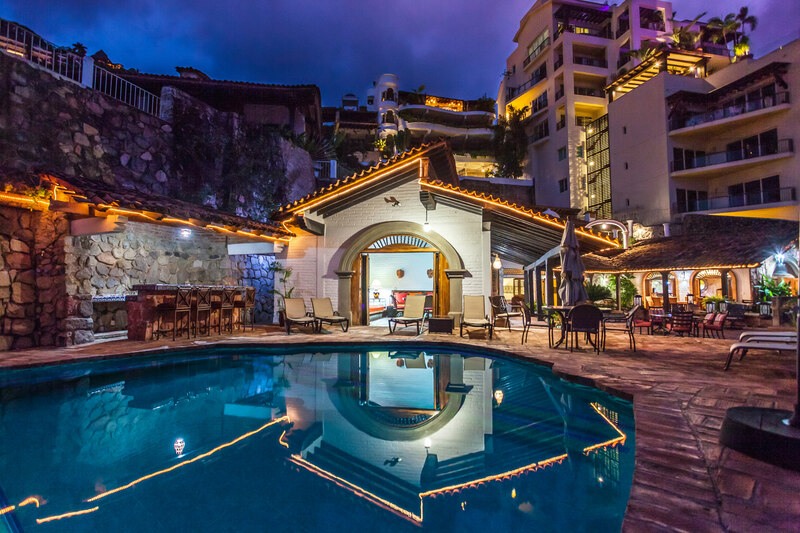 With a private infinity pool just steps from the living area & terrace and daily personalized chef service, you will feel pampered in paradise… Book your Penthouse Vacation Rentals in Puerto Vallarta with us and enjoy the beautiful romantic zone around it. Rent /Book what best suits your need at VallartaShores from Beachfront Suites Vacation Rentasl in Puerto Vallarta, Penthouse Vacation Rentals in Puerto Vallarta, Luxury Villas Vacation Rentals in Puerto Vallarta, Vacation Homes Rentals in Puerto Vallarta and Condos Vacation Rentals in Puerto Vallarta Read more !